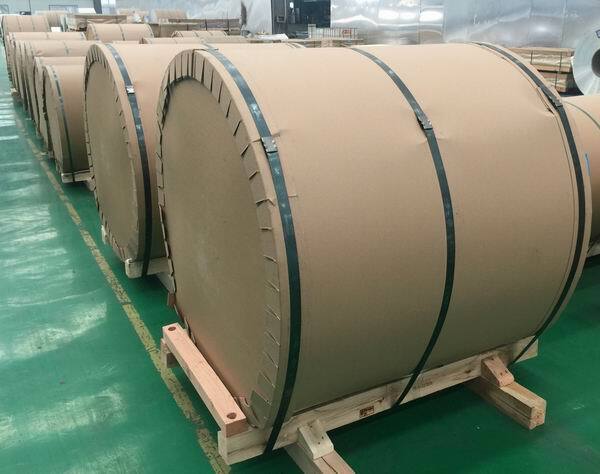 What is the PVC aluminum trim coil? Some aluminum manufacturers refer to striated coil as pvc aluminum trim coil.The PVC paint used for striated coil is thicker than the paint used for smooth coil. The dry film thickness of the paint on striated coil measures about 3.5 mils, compared to the 1-mil paint film on smooth coil. Because the PVC coating is applied so thickly, it forms striation patterns as it dries. We have a wide selection of products from Aluminum Trim Coils to PVC Coated Textured Trim Coil. Aluminum trim coil is an attractive, lasting way to finish any Soffit, Fascia, Siding, Window or Rainware job in your desired color. Available in a variety of colors and hues, our trim coil holds color and resists the toughest corrosive elements while still giving your home the look you want. Trim coil an be used to create decorative accents and other architectural designs. It is designed to cover and protect hard to maintain areas of the home’s exterior. All rolls are painted white inside. Aluminum coil stock, which has been used for years to cover trim on re-siding jobs, is becoming standard on new homes, too Ñ part of the trend toward low-maintenance exteriors. Manufacturers of aluminum trim coil offer two types of finish: smooth and striated. Smooth trim coil, which has been on the market the longest, is a thin aluminum flashing finished with polyester or acrylic paint. Striated coil has a textured finish, providing a better visual match to vinyl siding.